Audits and assessments are important because they promote the integrity of the livestock industry and improve animal welfare. They can be a tool to communicate about animal care to consumers. As a management tool. Producers can self-assess to monitor conditions and make improvements on their farm. As part of the supply chain process. Retailers, processors, or specialty product labels use audits and assessments to ensure a given level of animal care on the farm. In these cases, an independent, trained 3rd party auditor often performs the audit or assessment. ​The purpose of this website is to help you learn how to formally measure factors associated with dairy cattle health, management, and facilities. 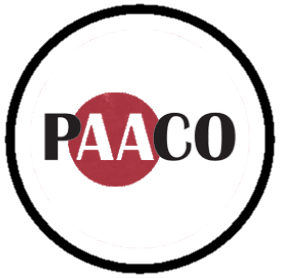 This site is part of Professional Animal Auditor Certification Organization (PAACO) Dairy Welfare Auditor Training, but can also be used as a stand-alone resource. This site will provide guidance on learning how to assess dairy cattle welfare according to the three most common tools used in the United States: the Dairy Well Audit ProgramSM by Dean Foods, the National Milk Producers Federation FARM ProgramTM , and the Validus AuditSM. Where possible, comparisons will be drawn between the three to allow for a fuller understanding of the issues important for dairy cattle welfare. ​​The site works best if you use Chrome and high-speed internet.